Julie Newmar has some wonderful things to share about Adam West, who has died at the age of 88 after a short battle with leukemia. “The first words that come to mind are steller, examplar, a king to the end,” she said in an interview just now from her Los Angeles home. Julie is loath to compare actors but referred to West as the Cary Grant of television superheroes — an appropriate reference, I’d agree. “He was perfect as himself in the role,” she said. “And the opportunity to either play with the best or be the best in the part is a high privilege. West and Newmar’s chemistry was palpable. They absolutely sizzled amid the show’s DayGlo colors, so I asked her what it was like to play off one another. Julie said Adam West understood acutely what it was to be Batman for generations of children and adults like me, people who saw more than an actor in a cape, but a hero or even a father figure. — For ADAM WEST: A Birthday Celebration, a series of interviews and tributes to the greatest Caped Crusader, click here. These people are true TV legends, and nobody will ever replace them! the death of Adam West is greatly a lousy way to start a weekend, and Julie Newmar’s sentiments are perfectly stated! we will grieve over the loss, but we as fans will also cherish Adam West’s Batman for many lifetimes, as his 1966-68 ABC series will continue to entertain the next generation of new fans out there, and with great pleasure! 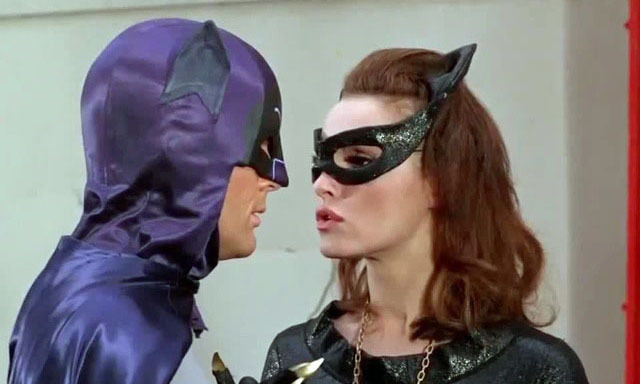 Julie Newmar’s feelings are quite valid, given that her “Catwoman” role out of the six actresses,seven, counting the voices of Jane Webb, Melendy Britt, and Adrienne Barbeau,who all put Catwoman on the map as one of Batman’s greatest of foes, Julie Newmar’s Catwoman totally rules! I am very sad to here the news! I watched the show as a small boy and always had a deep love for batman. The show still holds up beautifully after all these years. 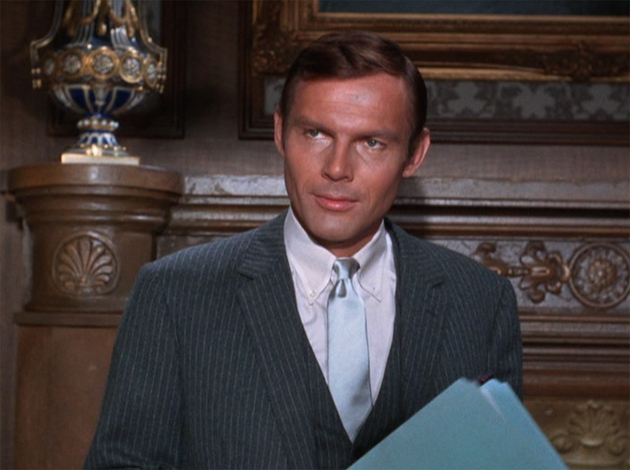 Adam West was a real star in the best sense of the word. My condolences go out to his family. He will truly be missed! O Batman, my Batman. RIP Mr. West. Truly, ever, The Bright Knight. May Mr. Adam West R.I.P. he was a great talent and I let him know that and thanked him when I met him at the Hanover Comic Con. He will be missed by his legend will go on forever as fans of the show watch it with their children. Over 50 years have passed and he has fans all over the World who love him and miss him. Bless this man. Still hard to wrap my head around losing Adam West. The one and true Batman was a hero to many! The role he played was so life-like that it is hard to imagine him in another role. I have not slept much since hearing the news. Reading posts and blogs has helped me cope with the loss. And knowing that others share my grief is also a useful way to deal with personal losses in life that mean so much. Adam West will never be forgotten. RIP, BATMAN! You are and always be #1. There are no others. Classic. Absolutely beautiful. It was always a great day when Catwoman was Batman’s nemesis du jour.